Our four-digit outdoor combination lock is manufactured from polished stainless steel for a weather resistant finish and includes a hardened 25mm shackle to ensure a more secure finish. 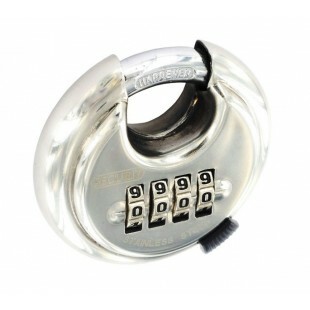 This attractive weatherproof combination padlock features an innovative disc-shaped exterior, perfect for any modern property. 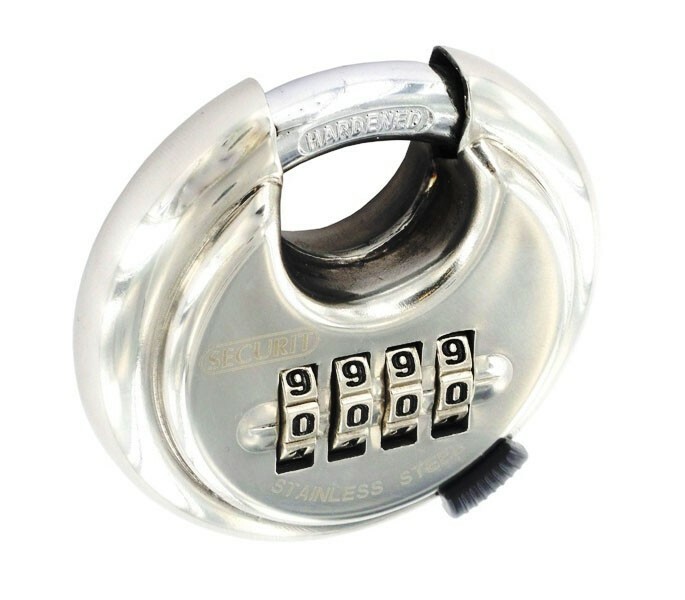 Our outdoor combination lock is sold singly with step-by-step instructions on how to set the four-digit code.